We are getting much more adventurous with our letter crafts. 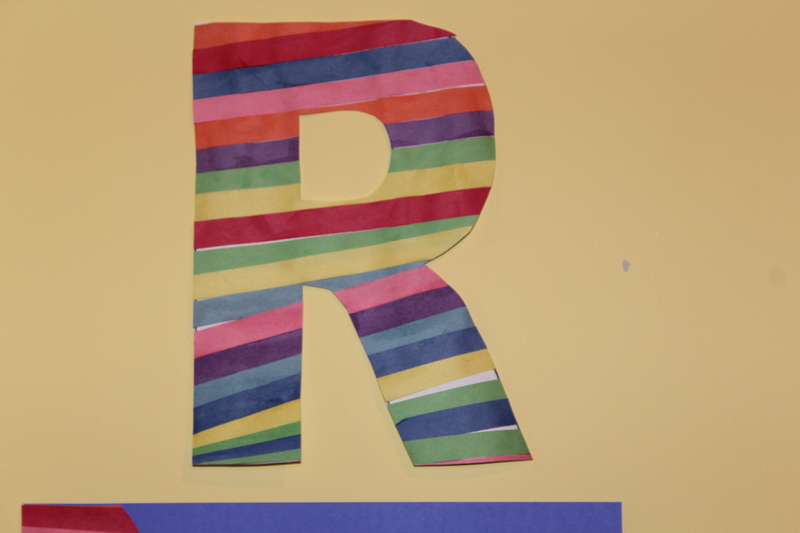 A couple of weeks ago we had R and as my girls love Rainbows we had to find a way to make “R is for Rainbow” . 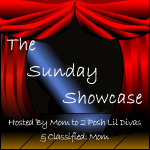 I can’t take the credit for this great idea as I found it over at Mom to 2 Post Lil Divas. I started like I do every week by printing off the letter for Eileen and the word for Kaitlyn. 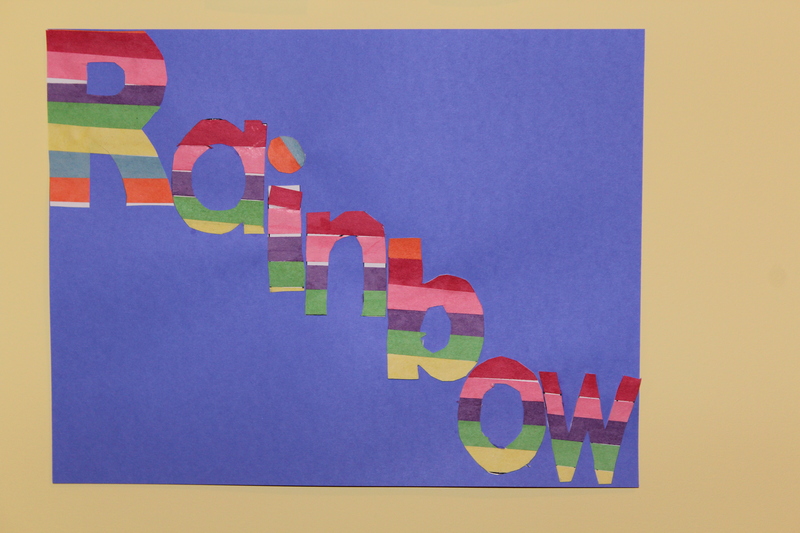 I realized that the word Rainbow would be too long to do the way I normally do but it didn’t really matter as we were going to cut out the letters anyway, so I just printed a page with all the necessary letters. Next I took them to the window and traced the letters on the opposite side so I would have a template to cut out the letters once they were done. 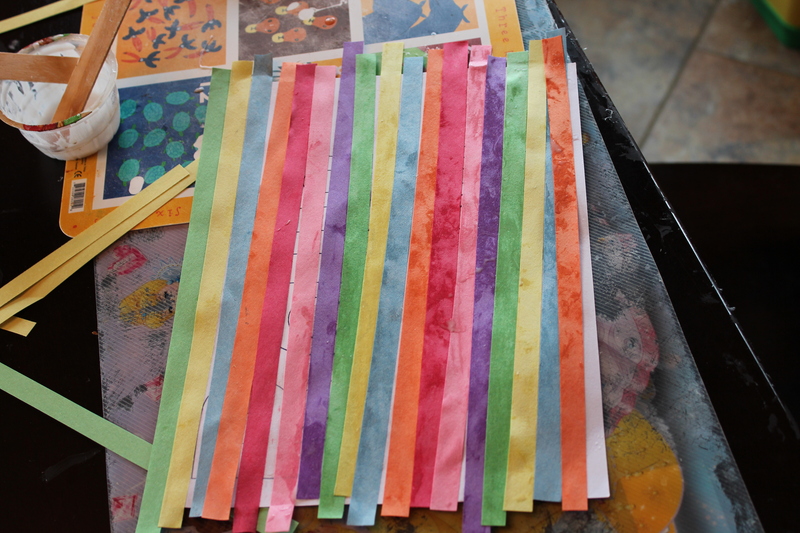 To prepare I cut out strips of papers of a variety of colours. 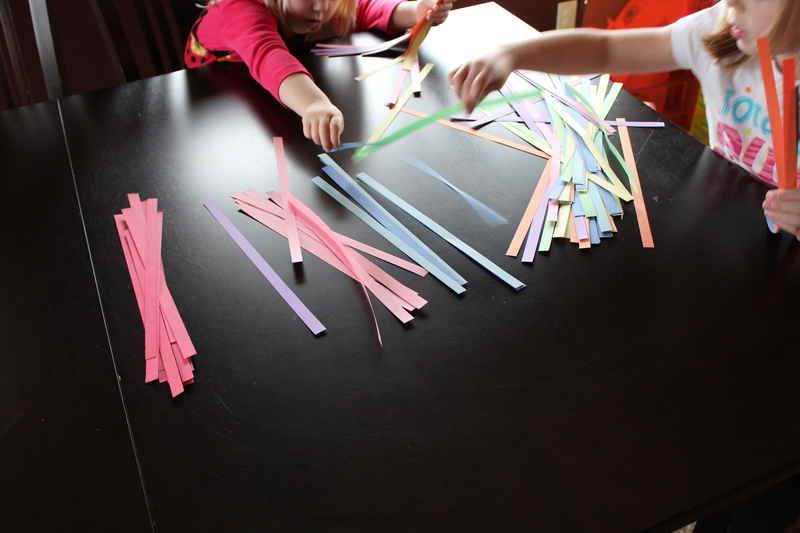 I gave them to the girls in a pile and asked them to sort them by colour, great sorting practice! 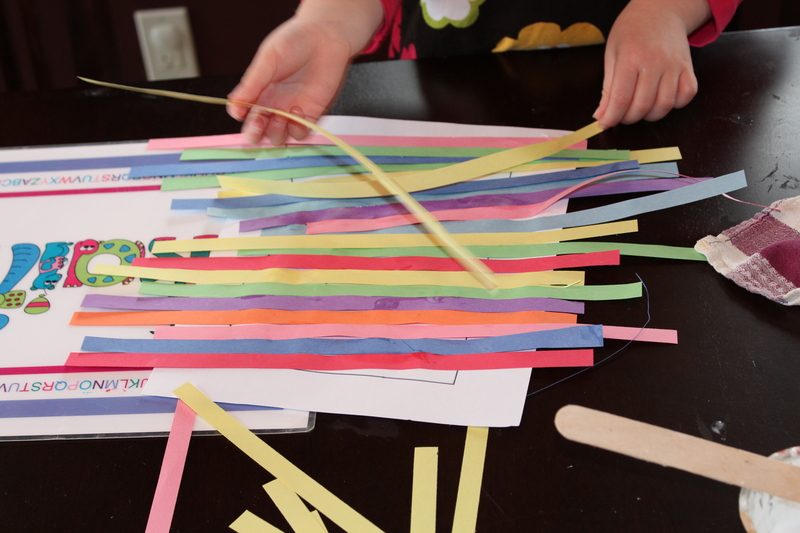 Next they glued colour strips onto their papers totally covering their letters. I suggested they do a pattern but this became difficult with the number of colours we had (and they wanted to use every colour). After they had time to dry I used an Exacto Knife to cut out their letters. Eileen’s was finished but Kaitlyn then glued the letters in order to spell the word Rainbow.